A customer for our Highlighter product recently asked us how you could modify SharePoints List View Web Part (LVWP) to word wrap column headers. He had found that as he had replaced lengthy text with status icons he could fit a lot more columns on the page – if only he could shrink the column headers down. To be clear – this isn’t unique to lists using our Highlighter product, this example shows a basic SharePoint list with a long title that is causing a horizontal toolbar as it won’t word warp even though the column will only ever contain Yes or No. Of course you could rename the column and shorted the name and put more information in the description – but that only appears on the Edit form so it’s a balancing act between being brief and giving enough info so everyone knows what the columns contains. Anyway – how to make these columns word wrap? Inspired by this post on Stack Exchange I looked at using Cascading Style Sheets to do this. Then we need to figure out which parts of the html to apply it to. This is done by HTML classes, so taking into account SharePoint 2007 and 2010 and different column styles (number/text/filterable/non-filterable) we end up with. So the white-space property is applied to html elements with a class of .ms-vh, ms-vh2-nograd and so on. So how do we add these styles to the page? If this doesn’t work for you then as with all things ‘code’ exact syntax is important so check everything carefully – a “ is not the same as a ” for example. Also be sure that you’ve put the CSS in the HTML Source area, not just directly into the rich text editor. You can add lots more effects (Red, bold etc) but sometimes its hard figuring out exactly what html elements and classes to target (e.g. you can’t apply a colour to the .ms-vh table header, you’ve got to apply it to an anchor element inside this – so “.ms-vh a”) – Firebug, the IE developer tools or the Chrome equivalent are invaluable for this – they will save your sanity! Thanks for this posting. I tried it and it worked. However, after I added the code, the list/item tools for the list itself disappeared. Can you help? Thanks. @SF – This is a known issue with SharePoint 2010, as soon as you add any other web part to a page it stops the List Ribbon tools automatically showing. Thought I would share another way to do this in Sharepoint 2010. Since these th don’t have a class attached to them, just setting the CSS didn’t work for me. Then modify the widths by dragging. If you have already manually set some of the widths, you might have to search for more onmouseover=”OnChildColumn(this)” that do not match the tag exactly. Thanks very much, Katina (and Ryan). I’ll try this. Could you explain me about ‘Replace All’ part which you have mentioned in your last comment? One more thing in the same way can we able to change the list header font color and back ground color? Thank you. I’ve been searching and searching and I finally found this article and it worked for me. “Replace All” means to use the “Find and Replace” functionality from the Home tab of the ribbon. The first bullet item in each group is what you should “find” and the second one is what you should “replace” it with. As for the font color and background, you could try this inline style: style=”white-space:normal; color=FFFFFF; background-color=000000;” However, the smart way to change colors and styles is by using the CSS. 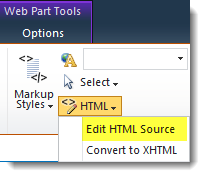 Find the style ms-vh in the page (remember to do Customize XSLT – Entire View). Control-click to view the CSS. Mine was in corev4.css. BACK UP that file and then you can try changing the colors. So pentalogic provides a blog on how to implment wrapped column headers, and in doing so you lose functionality because you presumably have two webparts on the same page. And guess who sells a product to fix this? @bizIntel. I guess you missed the “free” part of “free tool”? Ryan… thank you… this works like a charm for the standard view of the list. Is there a similar solution to the datasheet view? Hi Stewart – I am afraid not, you can’t really do anything to customise the datasheet view. Awesome! It works like magic.. even for someone without much SP background, this was super easy. Thank you so much for posting this. I’m trying to wrap text in a data view web part. I was not able to do it using the information above. (please note that i’m relatively new to SharePoint and coding). Thanks for the write up! I’ve got a SP2007 and am trying to get this to work for a Gantt View. Any idea if this can be corrected with a Gantt view? I tried looking through the source code for other td class tags to call out and didn’t have any luck. I’m using 2007 and can’t get this to work. While I am editing the Web Part the columns headings are wrapping but when I exit they do not. One other question while I’m here. Can I force the wrap? For example: Can I force “Security Form Submitted” to be on three lines (i.e., one word on each line)? Thank you so much for sharing with the community and helping the others, it helped me a lot. Thank you for this fix. I got the word wrap on blank space to work however not the alignment. Now that I have the idea though I will fiddle with my CSS knowledge and try to get it into shape! Thank you .. This is the most well explained HOW TO about this that I have seen.. Thank You. I’ve tried this on 2013 and it would only apply to columns that can be filtered. I know you mentioned that this applies to non filterable columns also. I tried adding different CSS classes to the code with no avail. @ChadC – Need to add the CSS selector .ms-vh2-nofilter – I’ll update the post in a minute. Will only split headers over 2 lines max through. Thank you so much for a quick reply, it worked perfectly with that update. thank you. I could get this to work on my allitems.aspx page but not my newform.aspx page… Any ideas why? Is there a way to do this in Datasheet view as well? Thanks! Hi Ryan, worked great! My only question is, how do I get the wrapping to only go to two lines instead of three? Thankyou, Simple and effective code. The only question is there a way to wrap text that has no spaces? e.g. force wrap on a specific column to 10 characters? Thanks for the how-to! I am pretty much illiterate when it comes to SharePoint code and I was still able to get my columns to wrap. I was also able to get them to vertical align on the bottom. Except for the “People” fields. Is there a trick to getting these to align to the bottom too? And also, how can I get the “ID” column to bottom align? I found that the above code examples all work fro my list in non-edit mode. However, when I am in edit mode in datasheet view the above code does not seem to affect it. Can some one provide a way to have it also affect the datasheet view? Hi Gary – the answer to pretty much any question on “How can I do X with the datasheet” is no. See other comments on this page for more. These code work for standard view but i want the header wrapping in datasheet view plz someone help .. thanks in advance. There’s a very easy way around the issue of the list ribbon tools disappearing. Most people create a list and then add it to a SharePoint page as a web part. So, rather than add the extra web part by editing the list page itself, just add it as a web part in the same page you’re adding the list to. That seems like a very wordy way of explaining it but I hope it makes sense. It doesn’t appear to affect other lists on the same page.